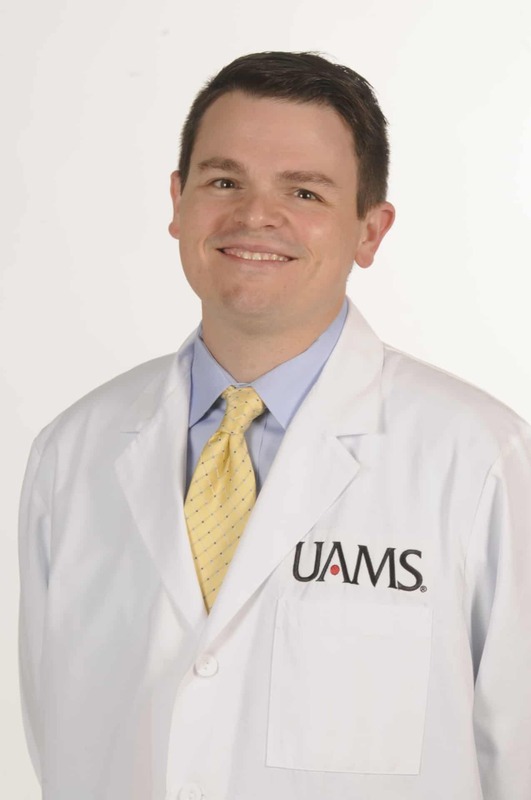 Christopher Paul, M.D. visits with his patient Joyce Williamson. Sept. 6, 2018 | Sept. 6, 2018| For 18 months, Joyce Williamson lived with constant pain. The discomfort was so intense that there were days she did not want to get out of bed. Williamson’s pain began shortly after a surgery she had in 2016 on her wrist. She developed an inflammatory condition called complex regional pain syndrome (CRPS). CRPS affects the nervous system and often causes severe pain in one limb like an arm, leg, hand or foot. Williamson felt it in her wrist and shoulder. The spinal cord stimulator sends electrical pulses to block the feeling of pain. Medication and physical therapy can provide relief for some patients. Williamson tried several interventions to alleviate the pain, but none of them worked for her. In March 2018, she saw Christopher Paul, M.D., an assistant professor in the UAMS College of Medicine Department of Anesthesiology, for a surgery that included an implanted device known as a spinal cord stimulator (SCS). Lauren Byers, A.P.R.N works alongside Paul. She says she’s inspired to see patients like Williamson get their life back. 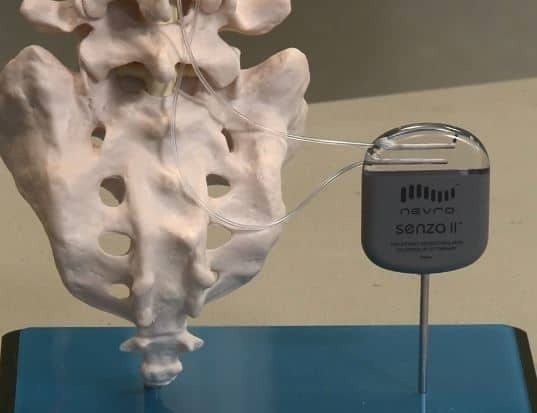 Byers says unlike many procedures, patients are able to test-drive, so to speak, the spinal cord stimulator before having it permanently placed. “It worked so well,” Williamson said of the trial. “I didn’t want to give it back. Before the surgery, Williamson says her pain was at a constant 8 or 9 on a scale of 1-10. “After surgery, my pain level has been at a 1 or 2, which is like a zero to me,” Williamson said. “I feel like I have my life back. Williamson has been able to get off four types of medications in the 10 weeks since the surgery. She’s back to her normal activities and playing in the floor with her two young grandchildren. She returned to work within a month after the procedure and says even her colleagues noticed a change.